Should be harvested when the buds have split such that the color can be seen underneath. Member of the Papaveraceae (poppy family). Native to the Arctic region of North America, Eurasia. Hence, the common name! Some not so common relatives include Dendromecon, Meconopsis and Romneya. Has four papery petals around a center composed of many stamens, solitary at stem ends. Stems are leafless, hairy, wiry, up to 24 inches long. 36-41 F, in water for short time. Store upright to prevent geotropism (stem bending). Storage at 34F for one week did not reduce vaselife. Poppies thrive in freshly turned soil, and grew by the millions in France during World War I. The ground was churned in battle, and as a consequence the Poppy has long been associated with war. The Opium Poppy has been used medicinally since ancient times, and its name comes from Latin “somnus” for sleep. The specific epithet name “nudicaule” means naked stem, no leaves on stem. 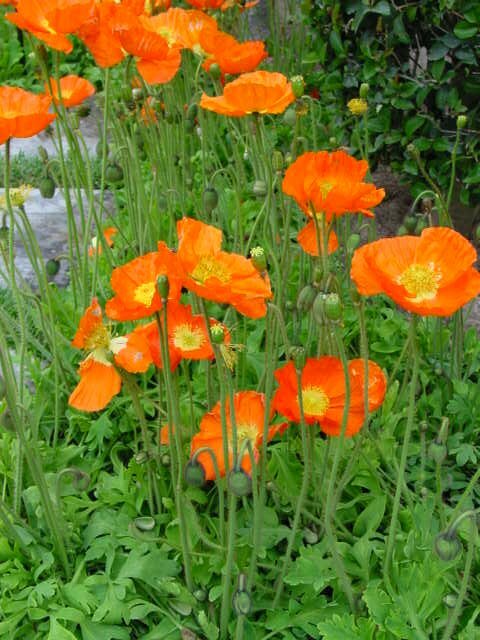 Papaver is an old Latin name for poppy and is from “pappa” (food or milk), an allusion to the milky latex. With many members of this genus, flowers only open after the calyx splits releasing the petals.